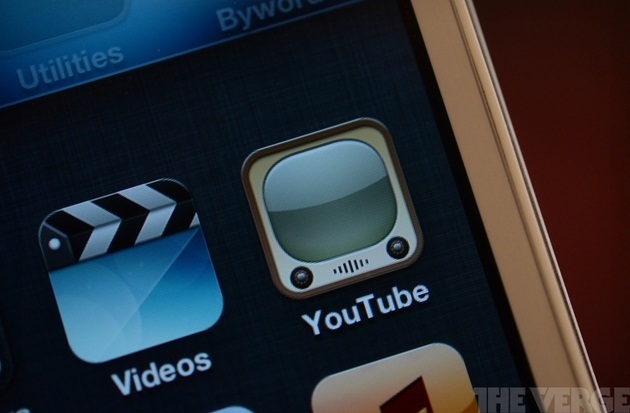 Home » Science/Tech » Apple Kicks YouTube App from iOS 6! Looks like the tensions between Apple and Google are turning into actions as Apple decided it is time to kick-out YouTube from iOS 6. Apple will not include a YouTube app in iOS 6, the next operating system for the iPhone and iPad, the company confirmed yesterday. The app has been an integral part of iOS since the 2007 launch of the first-generation iPhone. YouTube is owned by rival Google. “Our license to include the YouTube app in iOS has ended,” said Apple spokeswoman Trudy Muller on Monday. Instead, users with new iOS 6-powered devices, or those with older hardware who upgrade, can view YouTube videos in either Safari, iOS’s built-in browser, or in an app that Google will distribute through the App Store, Muller said. The striking of YouTube marks the second departure of a major Google-based component from iOS — Apple will replace Google Maps with its own mapping technology in iOS 6 — and is yet another signal of the companies’ ratcheting rivalry. Gottheil took Apple’s explanation for removing YouTube from iOS at face value. “If, in fact, there will be a replacement [for Apple’s YouTube app], that sounds like it should be good for users,” said Gottheil, noting that Apple has rarely updated its own app. Theoretically, Google would be motivated to refresh the app more frequently, and to regularly add new features. But both companies clearly had good reasons for not continuing the relationship. Apple’s move may have been part of its strategy to minimize revenue flowing from its customers to its rival, although the decision could have originated on its own spreadsheet, Gottheil said. “It’s pretty clear that YouTube is pretty important to Apple, but at some point they may have decided that they just didn’t want to pay the money [for the license],” Gottheil said. Previous: Jennifer Lawrence Trying to get $10 Million Salary for Catching Fire? Next: Rupert Sanders & Liberty Ross Reunite!